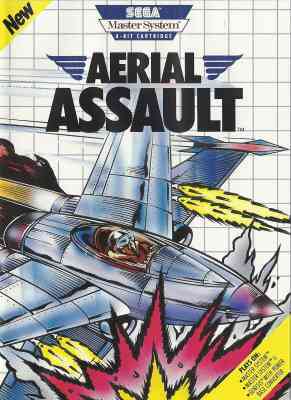 Aerial Assault - Games - SMS Power! 82 CVG magazine "Complete Guide to Sega"
Early reviews refer to it by the title "Freedom Fighter". Also see Freedom Fighter title screen in Sega Masters Club Issue #1. 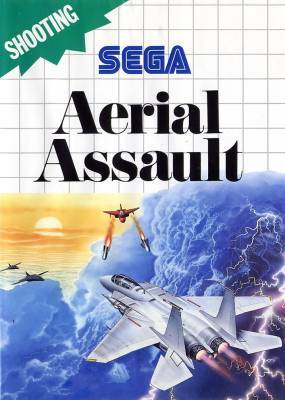 Other reviews refer to it by the title "Aerial Attack". RED ALERT! EARTH IS UNDER ATTACK! It's the 21st century and N.A.C., a feared terrorist group of the galaxy, threatens to destroy Earth. They've developed the super weapon "EL" that will blast away Earth's ozone layer. And they've threatened to use it! 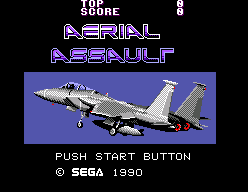 As the world's top jet fighter pilot, you're in command of the ultimate in combat aircraft—the "Freedom Fighter." 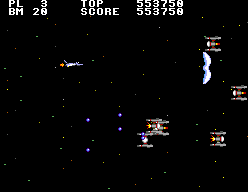 Armed with the latest in new high-tech weaponry, you and your jet are Earth's only chance against the merciless N.A.C. Your mission—to penetrate N.A.C. 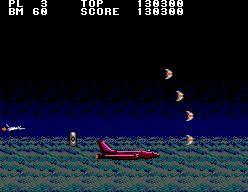 's massive defensives and destroy the computer to the super weapon "EL." You must succeed because the fate of Earth rests in your hands. Good Luck!